Q: The summaries of balance sheet and income statement data follow. Required: Calculate the missing items above. 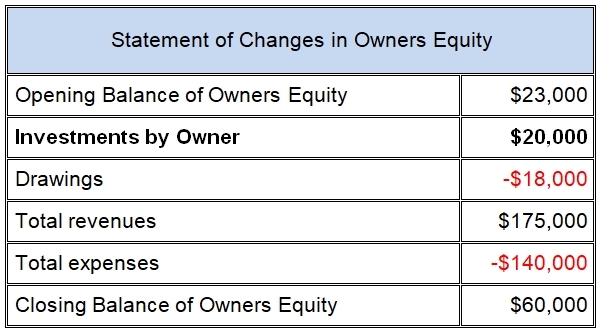 For this final part of the question we need to reconstruct the statement of owners equity or basically how owners equity at the end of the year is calculated starting with equity at the beginning of the year plus/minus changes during the year. So, what did you think of this question? Did you try it, and if so, how did you do? Leave us a comment further below. If you had some difficulty with this exercise, don't worry! Check out some of the related tutorials and questions further below.